Discover all the scrumptious flavors of ebelskivers, the puffy Danish pancakes that have become a Williams-Sonoma favorite. 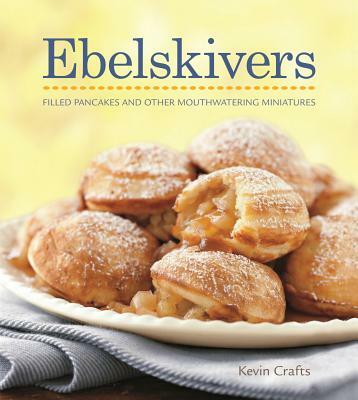 This cookbook offers more than 40 recipes that take ebelskivers from morning to midnight, with breakfast flavors such as Spiced Apple and Maple-Nut; savory bites like Fig & Prosciutto and Herbed Goat Cheese; and sweet desserts such as Molten Chocolate ebelskivers. Also included are how-to photos and steps for perfecting your technique. Hardcover, 112 pages. A Williams-Sonoma exclusive. Kevin Crafts is a food stylist and cookbook author whose work has appeared in dozens of media outlets, including Vogue, Gourmet, Food & Wine, InStyle, and The New York Times Magazine. Recently he served as creative director for celebrity chef Tyler Florence.